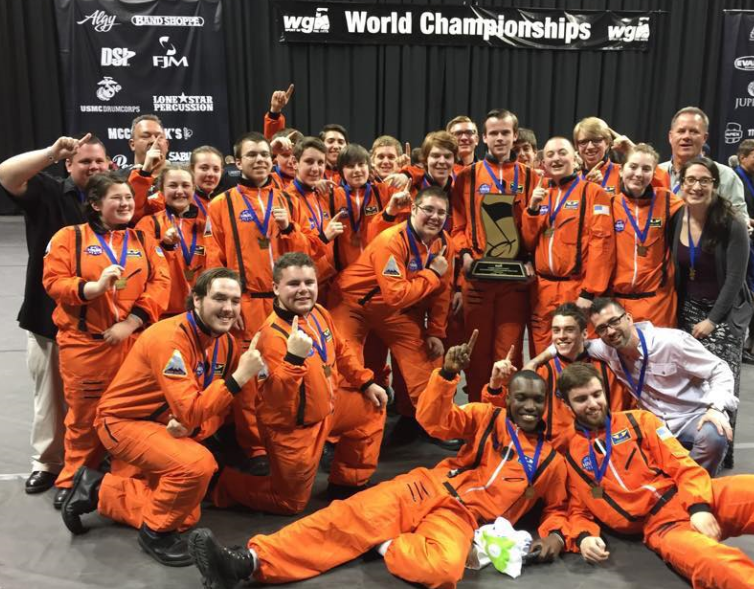 Mansfield Percussion Ensemble takes home the gold from WGI as World Champions! One of the reasons the Band Parents Association works so hard to support the kids! The award-winning Mansfield High School Percussion Ensemble is a highly competitive and highly selective group within the Mansfield band program. Students can join by contacting Mr. McGuire and auditioning to be a part of the program. The ensemble, when in full swing, rehearses every Monday and Wednesday night from 5:45pm-9pm and every Saturday from 8:45am-5pm. The ensemble competes in the New England Scholastic Band Association (NESBA) and Winter Guard International (WGI) Circuits throughout late February and March into mid-April. Please note that students do not need to be percussionists in order to join the program. Many of our finest players over the years have been brass and woodwind players that have stepped up to the challenge and thrill of learning new instruments as part of the percussion program. The Percussion Ensemble has seen tremendous success over the years in both marching and concert programs. The group’s success as a competitive juggernaut has been recognized at both the local and national levels. Our groups have won countless New England championships and three World Championships in recent years. We perform challenging music and demand both musical and academic excellence from our members, who in turn, rise to the challenge making us proud to be part of their success and achievement! Below are some of the major accomplishments of the percussion program over the years. For further information, please contact Matt McGuire at mansfieldpercussion@gmail.com.